Some surprising areas are the richest in Australia. IF YOU had to pick an area of Australia with the highest number of residents earning an absolute motza, where would it be? Somewhere beachside in Sydney close to PM Malcolm Turnbull's pad? Or perhaps Melbourne's ritzy eastern suburbs? You'd be wrong on both counts with new statistics showing you have to travel far from the big cities to reach the wealthiest suburbs. 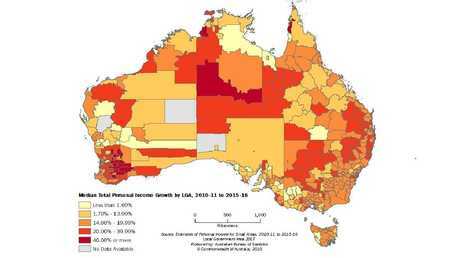 Data released by the Australian Bureau of Statistics (ABS) on personal incomes across the country's local government areas found that in 2015-16, the 13.4 million tax filing Australians took home $827.9 billion between them. Point Piper in Sydney has great views but it doesn’t have as many rich people as you might think. The average median income across local government areas, generally the most common amount earned, was $47,692, an increase of 1.8 per cent on the previous financial year and a rise of 17 per cent since 2010-11. Workers in the Australian Capital Territory generally earned the most with a median income of $63,000 while Tasmanians were bottom of the pile at $44,000. But it was Territorians who had seen the highest wage growth over five years, with many earning 21 per cent more now than in 2011. Drilling down to a state level, the ABS has worked out which local government areas in each state had the highest number of rich residents. And in some states there are a few surprises. 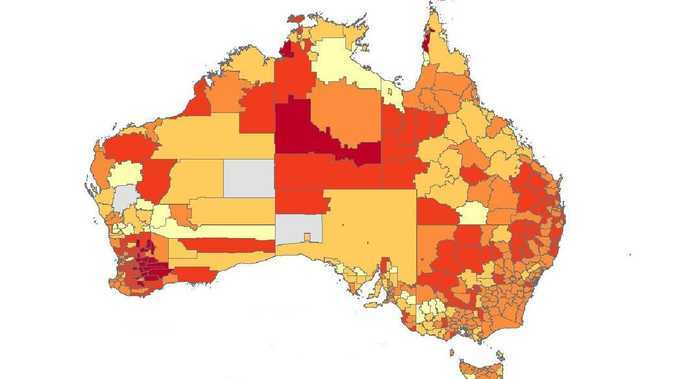 ABS maps showing the local government areas in Australia by median personal income levels. If those incomes seem a bit low for areas brimful of millionaires, that's because they are also areas with Australia's biggest income inequality. 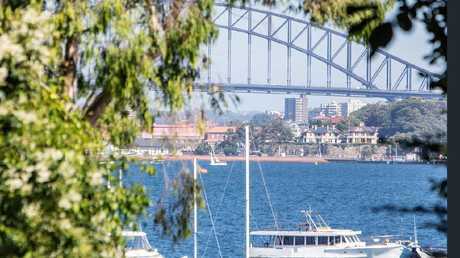 In Woollahra, 55 per cent of the income is generated by just 10 per cent of the residents with more than half of people not considered "high earners" which drags the median figure down. Yet these Melbourne and Sydney rich spots are positively povo compared to Australia's richest local government area. In terms of the sheer number of people earning a packet, that was Ashburton in Western Australia. Not heard of it? 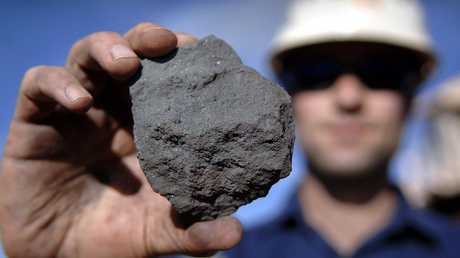 It's situated in the far north west of Western Australian covering a chunk of the Pilbara mining region. A worker at the Tom Price iron ore mine in WA, an area with the highest wages in Australia. Picture: Jack/Atley /Bloomberg /News. The median income for the Shire of Ashburton's mere 13,000 residents, is $101,000. 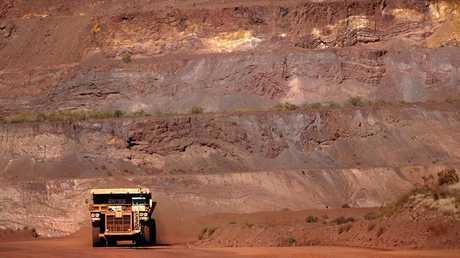 Tom Price and Paraburdoo, the area's two main towns, are centres for the mining industry. It's a similar picture in Queensland where the remote Cape York town of Weipa tops the list with incomes of $81,000 annually. It's the site of the world's largest bauxite mine. Research in 2017 by employment website Seek found Australia's mining states were all seeing average advertised salaries increase faster than the national average due to a rebound in commodity prices, reported Business Insider. In WA wages were up 3.7 per cent. Despite passing the peak of the mining boom, it's still a very lucrative industry to find yourself in. According to website Payscale, the median income from a miner in Australia is $106,000, more than double that of the average Australian. The high wages in mining is because the profession needs specialised skills and people willing to spend time in some of Australia's most inhospitable and remote neighbourhoods. "I'm less worried about the (salary) pressures than our actual ability to get workers of the calibre we require," Northern Star Resources chief executive Stuart Tonkin told the West Australian last month. 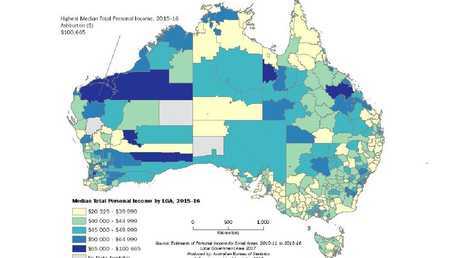 ABS maps showing the local government areas in Australia by mean or “average” personal income levels. South Canberra in the ACT, Palmerston in the Northern Territory and Hobart in Tasmania are their respective state or territory's top earning areas. But if you calculate income a different way you get a very different result. The A, this is the figure you get when you add everyone's wages together and then find the exact midpoint between the most and least paid. Leafy Mosman, on Sydney's north shore, came out on top with a mean income of $162,000. Mr Turnbull's neighbourhood of Woollahra wasn't far behind with $160,000. But as so much of the wealth in these areas is concentrated in so few hands, the mean income figure does not necessarily reflect the actual incomes of the majority of people. Another Mosman, Mosman Park in WA, also has one of the most unequal distributions of income wealth. Situated in the well-to-do western suburbs of Perth, the average income of $127,000 is distorted because half that wealth is generated by just 10 per cent of locals. 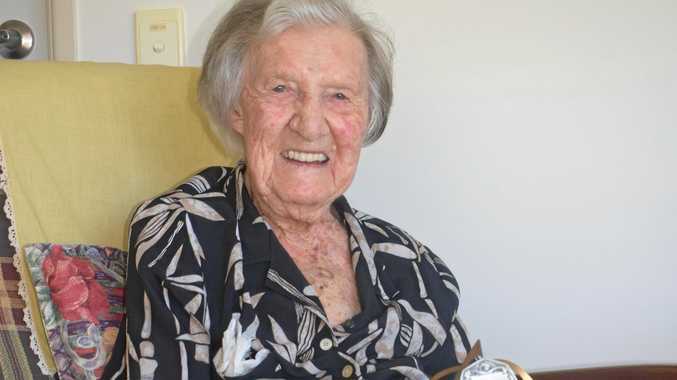 The region of Australia with the least unequal wages is Molonglo in the ACT. Here 44 per cent of people are high earners but as the residential area is new and still under construction, that figure could change over time. 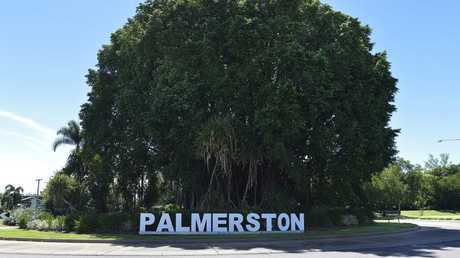 Palmerston is also an area with low income inequality and a high proportion of higher income earners. Overall, it makes the NT town one of the areas where you're most guaranteed to earn a decent income. 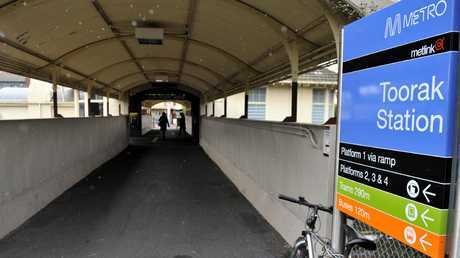 Toorak, nicer than this station makes it look.